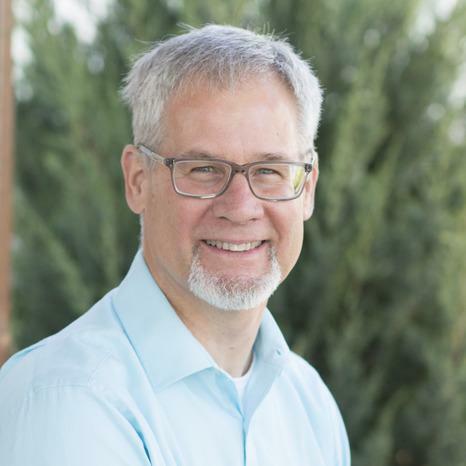 Mike Giebink serves as Associate Pastor with primary responsibilities of people care, counseling, overseeing life groups (small group Bible studies) and helping connect newcomers into church life. Mike’s passions include discipleship, shepherding, marriage and community. Mike grew up in Waupun, earned his B.A. from Wheaton College, and taught 4th and 5th graders for 11 years, mostly in Eau Claire, Wisconsin, before becoming a pastor. Mike has been on staff at Edgewood since 1998 and was ordained in 2004. His pastoral work has always included teaching, shepherding, and discipleship of others. Mike will complete his Master of Arts in Counseling in December of 2016. Mike and his dear wife Brenda have been married for nearly 30 years and have three children. Their oldest son and his wife live and work in Kentucky. Their middle son is finishing his bachelor’s degree and will be married in June of 2017, and their daughter is completing her senior year of high school this year. Regular exercise and healthy eating are important to Mike. He also enjoys biking, hiking, learning, gardening, photography, and watching cooking shows.